I live in a small 525 square foot condo, so free space is always hard to find. But one thing I do have a lot of is wall space. So I decided to create a small wall mounted shelf with a set of colorful votives on top. And now I'm sharing the super easy tutorial with you! Click through for instructions. I woke up to the first snow of the season last week and couldn't help but get a little excited for the magical, wintery days ahead. 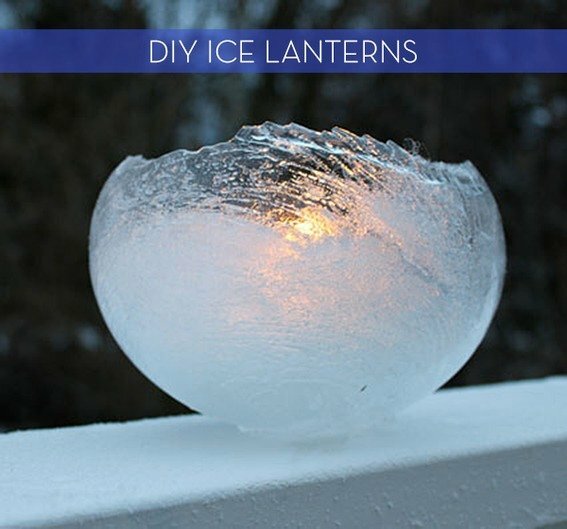 It's still a bit warm to line the walks with these crystal-like beauties, but come December, you better believe I'm making a whole bunch of DIY ice lanterns! I know, I know. Cement and lace? 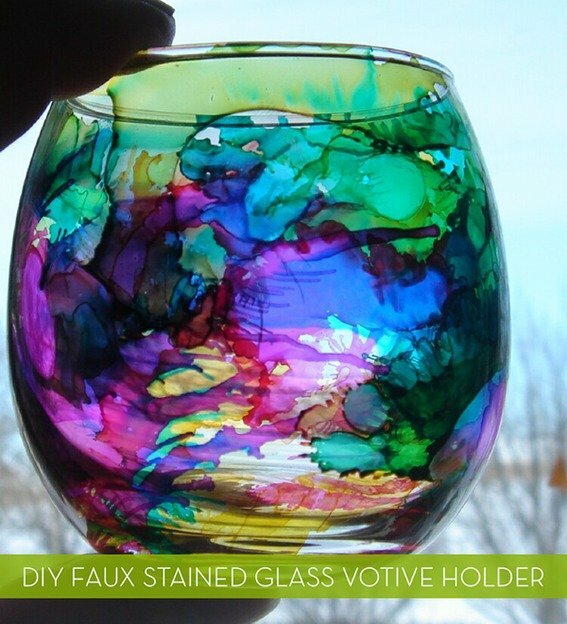 These aren't exactly materials you normally associate together, which makes this cool DIY project that much more intriguing (and a great jumping off point)! A perfect hostess gift for the holidays might be this cinnamon stick votive candle holder. Supplies are minimal and it would take only a few minutes to assemble. For the entire tutorial, visit jonathangongstyle.com. Via. Now I love a Dwight pumpkin and fluttery bats as much as the next guy (assuming the next guy loves them A LOT) but I came across these fellows here and was practically overcome by their awesomeness.